The group said applications haven't been expedited, despite being promised by Canada's immigration minister. OTTAWA — A group of lawyers are hoping the courts will force the federal government to speed up refugee applications for three families who helped hide former CIA whistleblower Edward Snowden in Hong Kong. The lawyers have asked a Federal Court judge to order Ottawa to live up to it obligations to protect refugees, and process the families' claims immediately. Lawyer Michael Simkin says there are fears the families could be arrested any day, making it more difficult to have them resettled in Canada. The families, originally from Sri Lanka and the Philippines, have so far been denied asylum in Hong Kong, and launched appeals Monday to have deportation orders against them lifted. They gained notoriety last year when their existence was revealed in Oliver Stone's film "Snowden," and have since faced political persecution in Hong Kong, says lawyer Marc-Andre Seguin. A Montreal-based not-for-profit, For the Refugees, filed to sponsor the families in January after raising funds from private donors to support them. 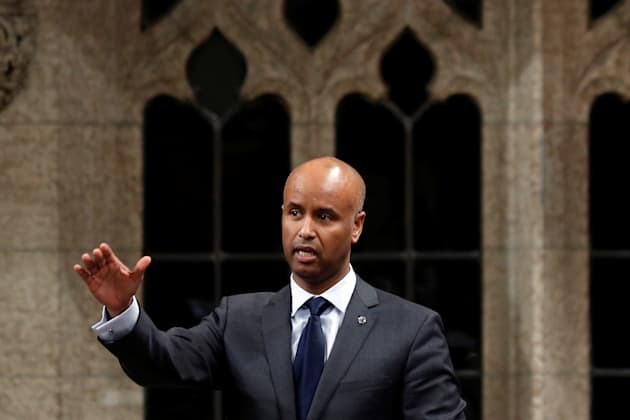 The group said Immigration Minister Ahmed Hussen committed to expedite processing of the refugee application in early May, but that the Canadian consulate reported on July 7 that their files had not been fast-tracked. 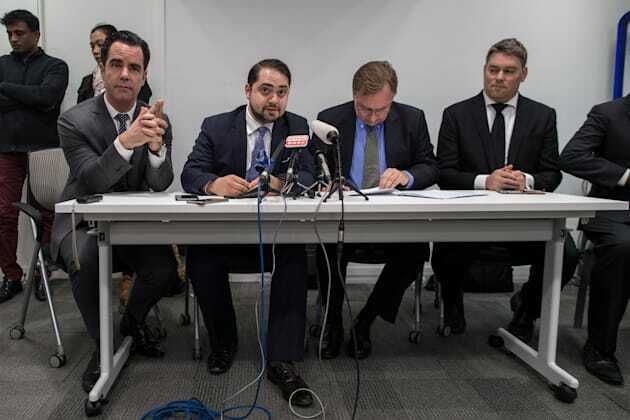 Lawyers for three asylum seekers families Robert Tibbo, (2-R), and his Montreal based Canadian counterparts Francis Tourigny, (L), Marc-Andre Seguin, (2-L) and Michael Simkin, (R), speak during a press conference in Hong Kong, China, March 9, 2017. Seguin was blunt during a news conference in Ottawa Monday about what could happen next if immediate action isn't taken. "Faced with imminent deportation, the parents can be arrested at any time and separated from their minor children," he said. "They will be imprisoned or even killed if returned to their home countries." The seven refugee claimants, including three children, are being specifically targeted for deportation by Hong Kong authorities, said Simkin, who could only speculate on why. Canada's Immigration Minister Ahmed Hussen speaks during Question Period in the House of Commons on Parliament Hill in Ottawa, January 31, 2017. "It seems like the families' connection to Snowden has made them radioactive and put them in a uniquely vulnerable situation," he said. The families sheltered Snowden for two weeks in May 2013, at the request of Snowden's lawyer Robert Tibbo, after the whistleblower leaked classified information about the U.S. National Security Administration's mass surveillance practices to journalists and an American filmmaker. Referred to by some as "Snowden's Guardian Angels," the refugee claimants have said they fear for their safety should they be returned to their home countries.